I am a plus sized mom that has a penchant for fashion! I am also a makeup artist and esthetician who likes play around with photography in my spare time. 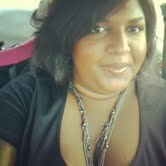 This blog will bring you current on trend fashion and beauty advice for plus sized mothers. A splash of vintage will also be included, as we know all things that are old is grand!